Posts tagged "pet food marketing"
It’s not often I get to employ a $50 word in a story, but in this case obfuscate may be the perfect verb to characterize the occasional disconnect from a pet parent’s desire for more clarity and transparency in how pet food is presented, and the sometimes confounding and less straight-forward information actually served. Is it crystal clear to you? Dirty water makes it hard to see the bottom of the pond. In the eyes of the consumer, pet food is a leap-of-faith business. Brands make assertions about the quality, origins and freshness of ingredients; the correct and superior combinations of real food ingredients that ultimately make a difference in the health and wellbeing of four-legged family members. What’s in the little brown kibble pellet? We’re required to believe it contains fresh, deboned chicken, wild-caught fish, grass-fed beef or vegetables, fruits and other human-friendly whole food ingredients. We also know that animals can’t talk and consumers aren’t food scientists. So trust and faith becomes the currency that defines brand relationships. When at the butcher counter in your food store you can see the steak, its marbling, height and color. You can make judgments on its quality before buying. In contrast, kibble or canned pet food from brand to brand looks roughly the same and so verification of food quality by visual examination is not possible. Casting statements on ingredient decks can be confounding to many but the most ardent students of pet food ingredient terminology; those able to translate code for higher-quality proteins from something less than that. Transparent behaviors in this industry couldn’t be more important. The frequency of pet food recalls serve as the reminder for vigilance…and can breed consumer skepticism. This uncertainty is amplified against an evolving food culture where people today want to know the backstory behind the foods they buy for themselves and for their pets. How did this new-found interest in ingredient transparency come to pass? The desire for transparency is a cultural phenomenon that got traction when people fully connected the dots between the quality of the food they eat and the quality of their lives. They expect no less of their pets’ diets. If ingredients are sourced from local farms and ranches, brands should show and tell this story. If there are standards on the quality of ingredients to be used, they should be stated clearly and simply so it can be understood by anyone. The curtain raised on how manufacturing is done, what form ingredients take, how and why they are combined – the trail from farm to can or bag that helps belief materialize in a trusted, credible way. If belief is to be achieved in what is essentially a faith-based business, truth must be multiplied by transparency and clarity. 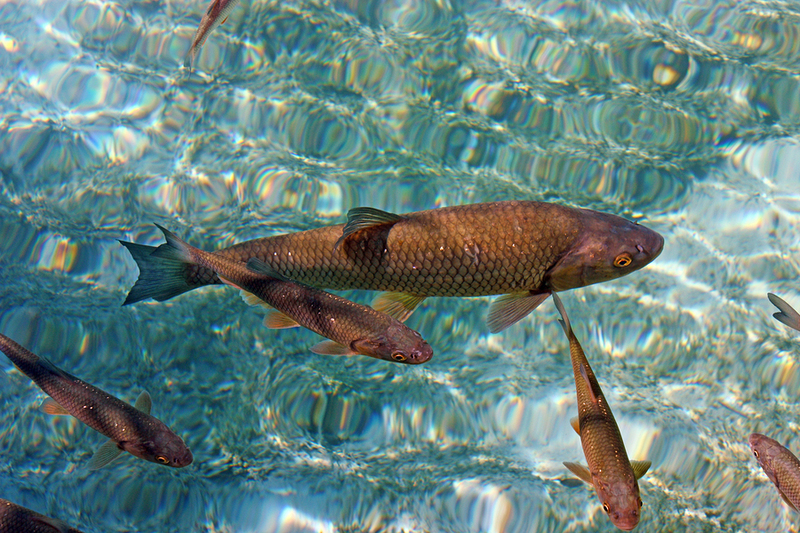 People want to see all the way to the bottom of the supply chain pond, so to speak. The sum of these interactions and conversations is to validate, rather than obfuscate, what we want people to know and believe about pet food. The core essence of trust creation is the deployment of words and what they mean. When honesty and integrity rule the relationship with pet parents, then parsing definitions to create more palatable descriptions – while obfuscating the truth – is at best misguided and not based in sound strategy…and at worst is disingenuous. So how are honesty and openness best served when the form the product takes leaves no trace of evidence on which to base judgments? Pull back the curtain and tell the story, fully, completely, in video where words and pictures combine to let everyone in to see for themselves. Outside independent verification testing and deployment of Blockchain technology may close this loop fully to provide the assurance people want. But importantly, what’s embedded in your brand values and mission will inform how all this goes, and whether or not crystal clear is the true call to action for company behaviors. Ever wandered through a pet store and noticed the similarity in how brands present themselves and their benefits? The focus on ingredients, nutrition advancements, and percentages of real meat-based protein dominate the conversation. For the most part, these rational arguments in favor of the competing brands are an outgrowth of a long-held, pervasive view that decision-making is largely a rational act. We know that’s completely wrong. Examining the latest studies in behavioral economics, neuroscience and psychology reveal we’ve generally constructed pet marketing on the wrong foundation over the last 20 years. Turns out, human beings operate on two brain systems – the ‘effortless’ sub-conscious and the ‘effortful’ conscious and learning brain. System 1 – The Nonconscious Brain – is actually in charge of our actions and decisions. And the rational System 2 side routinely defers to its non-rational cousin on a daily basis. Why does this matter? Because fact-based presentations of information and data play almost no role in the purchase decision. We don’t recognize this is happening because, yes, it’s subconscious. Pet food organizations work overtime to refine and improve their nutrition profiles, enhance the quality of their ingredient sourcing, optimize their formulations for a healthier pet – and then tout the efforts they’re making. Ironically, all of it largely ignored by System 1. Instead this information comes round in the post-purchase environment as a justifier for making the right decision and remaining loyal. Is the commitment to superior nutrition a wasted effort? No, it is fundamental to brand efficacy and the outcomes for pet health and wellbeing. But this is a different issue from what actually drives purchase. This news may rankle pet food C-suite executives who pour such energy and investment into the rational argument stream on nutrition and ingredients. However, this does not mean that purchase decisions are subject to mere whim. Science proves we have a natural inclination to favor what comes most easily to mind. In fact, we imbue brands that are familiar to us with a host of beneficial qualities. It’s not the features and facts that are driving this, rather it’s the familiarity. This desire for familiarity prompts planning a holistic, multi-channel media strategy that’s always on and aimed at breeding awareness. To help along this path, it’s important to deploy sticky, memorable phrases and ideas. We are drawn to prefer products other people like and endorse –whether in a live setting or online. We make positive assessments of brands that are well liked and recommended. Our depth of affection grows with perceived popularity. System 1 responds to emotional communication because it uses emotion. So a surprising, personal, heart-rending story from a pet parent is far more effective than a surprising statistic. The goal of pet care marketing is to fulfill one of the most important motivations for buying a high quality pet food – the expression of love for your pet. Emotional tugs are far more powerful than rational reasons. We are hardwired to reciprocate in the presence of unexpected and magnanimous acts. If we want to ask pet parents to do something, to take action, make a donation, or attend an event – doing something generous and unselfish ahead of the ask will cause reciprocal obligations and behaviors. Similarly, rewards should be viewed differently. System 1 loves immediate and assured rewards. And rewards that are emotional and social in nature are more motivating than financial. Case in point – are we motivated by saving 50 cents or being perceived as a smart, caring and sophisticated pet parent?? Are we motivated by the superior nutrition in a bag of kibble or acquiring a path to a healthier, happier pet? As ad legend David Ogilvy once said: “You cannot bore your customer into buying your product.” System 1 responds positively to artistic expression. So it’s important for brand communications to be clever, interesting and entertaining. The creative use of words, pictures, sound, style and images can combine virtuously to help make communication compelling and memorable. The learning part of our brain isn’t inert. However, it is lazy and allows the subconscious to hold sway over our actions and decisions. Because this is happening outside of our conscious awareness, we don’t really recognize it’s happening. For example: Was your choice of spouse or significant other truly driven by a deliberate analysis and evaluation of the pros and cons before you took the leap? Of course it wasn’t. That life-changing decision was based on your feelings, your gut instincts – and that is System 1 at work. Now we are designing a new go-to-market platform for pet brands that incorporates this new understanding about how people operate. As we respect System 1’s power to drive how people operate, we gain discipline in our marketing approach and confidence in the outcomes of marketing investments. What’s Next for Pet Food? Can we all agree that premium pet food is one of the strongest business stories in packaged food growth – it’s been a consistent revenue engine over the last 10 years. A consequence of continued growth and expansion this year is a 52 percent increase in the number of brands competing in the U.S. pet specialty retail channel, now at a shelf-busting 599 combatants, according to industry research from GFK. This led to a whopping 2,880 new products launched in the past year competing for share of wallet, up 12 percent over the previous season. During the last five years dollar sales in the natural category have grown from $6.2 billion to $7.9 billion. There’s lots of marketing action, as well as subsequent noise in the pet food game. The fuel steering this expansion is a humanization movement that awards pets full-fledged family member status. 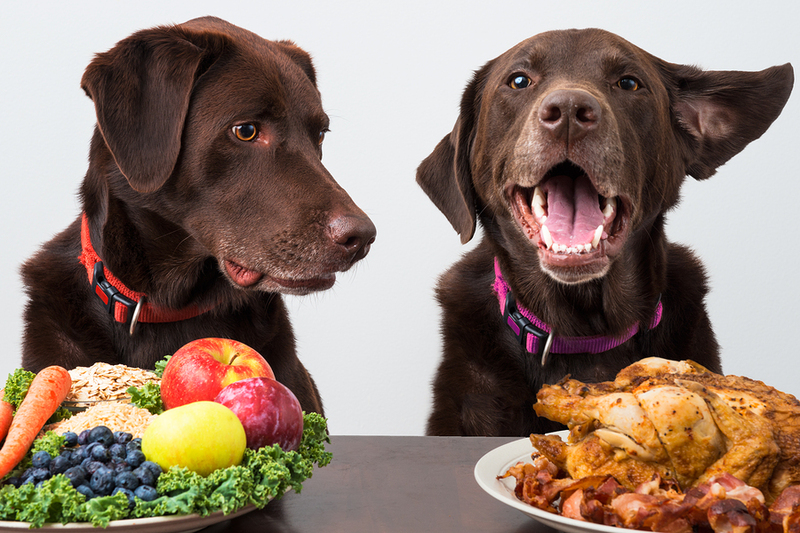 Pet food follows this trend almost lockstep with diet formula premiumization leaning into higher quality, better ingredient options – the similarity to what’s now holding court in the human food world is striking. Case in point: the protein-forward, popular grain-free segment is up 20.2 percent, and now enjoys a 37 percent share of the entire natural category – delivering $3 billion in annual sales. The biggest single driver in this story today is kibble laced with freeze-dried raw bits now at $143 million in sales and gaining – a sort of trial entry pathway to ultra-premium raw frozen diets. Yet, a stroll through the aisles in pet food stores reveals a remarkable level of resemblance and sameness in how brands present themselves, touting their ingredient strategies and more specifically data on protein delivery. Ironically, all of this rational, fact-based selling occurs in a product category powered by emotional cues – not analytical. Is this business accelerated solely by extensions of product form? Is it just a human-grade ingredient play? Are we simply trading up diets from formulations at $3.00 a pound to something approaching $10 or $11? Price increases per pound are up 40 percent for pet food since 2011, and up 67 percent in the treat business, according to GFK. So it may come as no surprise that private label and value priced brands in the segment have been outpacing premium brand growth over the last four years. 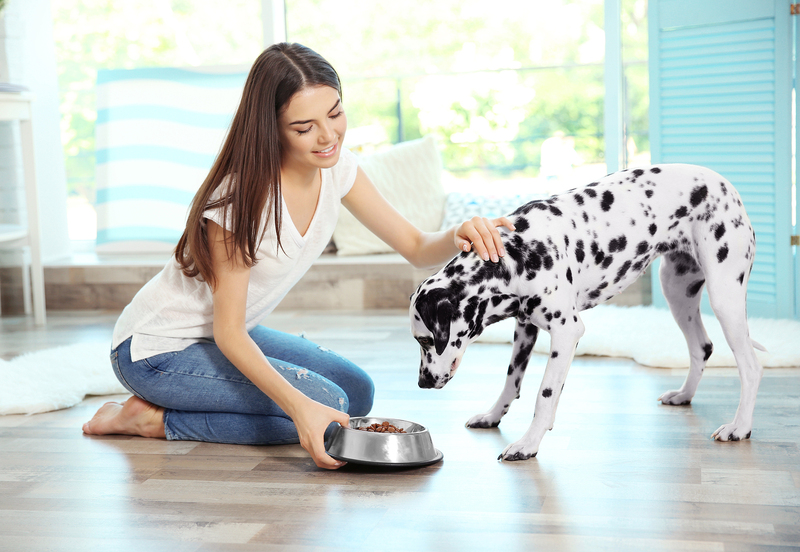 Ingredient cost and price issues aside, while the category as a whole continues its upward trajectory, the next evolution in pet food marketing may still be in the wings. And itself may represent another crossover from the human food world to pet. Pets moved from the barnyard to the backyard to inside the house to the bedroom in relatively short order as people increasingly treat their pets like kids. Emotional bonds and companionship are reliable, tangible anchors for pet owner benefit – in an increasingly uncertain and unpredictable world. The emotional grist is already in place. There’s been a significant and transformative cultural shift in the human food world as consumers connect the dots between the quality of what they consume and the quality of their lives – this expectation has migrated to pet wellbeing. Healthy is now driving food retail growth, but it’s vital to note “health” has been culturally redefined in the process. What was once addition by subtraction, meaning better for you was essentially a food science exercise designed to remove calories, sodium, fats and sugars, has morphed. Now, in its place is addition by addition. 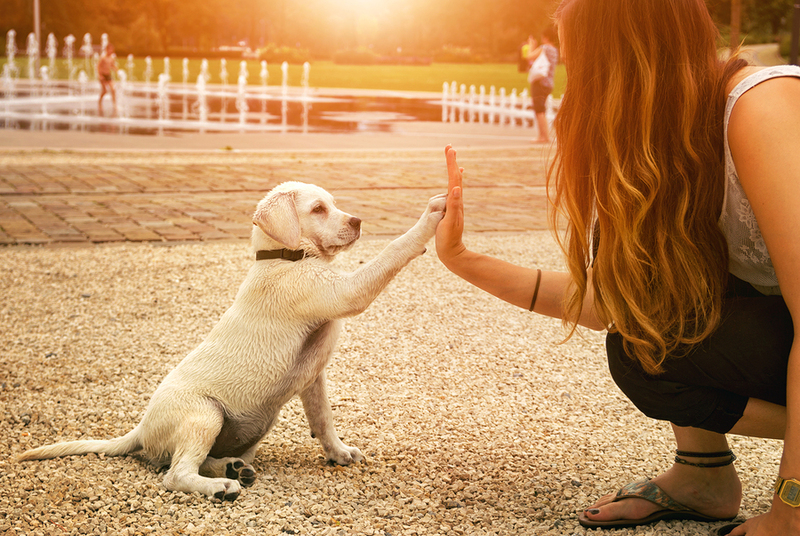 Can pet ownership and relationship be an integral part of a healthy lifestyle? And thus does this companion relationship become part of enhancing the quality of life going both directions – for pet and pet parent? We have seen numerous studies over the last five years documenting a relationship between pet ownership and health benefits for people. Just the act of petting your dog or cat alone is shown to lower heart rates and decrease stress. So a virtuous ecosystem might exist here as pet and pat parent in effect take care of each other, providing emotional and physical benefits that are reciprocal. This brings a whole new lens to pet ownership benefits and suggests a higher calling for the connection that goes beyond the tail wag or purr. What’s the call to action for pet food brands? Answer: become an enabler, facilitator, coach and guide on this journey to health and wellbeing for pets and pet parents alike. This approach offers salience and relevance, and a treasure trove of creative opportunity for pet brands to differentiate and stand out in a sea of brown kibble uniformity. True lifestyle marketing may be an anomaly in pet food now, but the signs point to a real need for disruption and uniqueness in a category rife with messaging and marketing that – pound for pound is nearly identical between brands (nod to wolf ancestry theme). What’s the main difference that charts a course for base hit results vs. a clear home run? Said another way, what causes one pet care marketing effort to resonate strongly with its intended audience while another is ignored or stalls out? In today’s digitally-driven marketplace, pet parents have become increasingly savvy users of media to navigate the content they want while ignoring or blocking everything else. Any investment in pet marketing will require the attention and participation of its intended audience. People are inspired by their beliefs and desires; it is an emotionally-driven category. The humanization of pet food marketing, much like the dynamic of humanizing our pet parent relationships, is key to informing improved marketing strategies. As a result, this leads to stronger engagement and traction for pet food brand marketing investments. More specifically, we know from behavioral research there are common cues and conditions that cause people to engage, to listen and to act. If properly considered in the design of marketing strategies, outreach tactics and experiences, we can vastly increase the odds that a genuine relationship will unfold. People are drawn to prefer products that other people like and endorse. This is the main component of optimizing the value and outcomes of social media strategy. Reviews are one of the most powerful assets a brand can deploy. Further, the extent to which people perceive a brand to be gaining in popularity performs another form of validation: proof that it’s effective, safe and correctly represented. Repeated exposure to pet care brand communication breeds familiarity and helps set a path toward securing trust – the primary component of the consumer/brand relationship. Shorter term investments (that often ladder up to a “launch and leave” effort) are far less effective than those delivering a steady, consistent drumbeat of communication across multiple digital, social and retail channels. Messaging and content that’s useful and valuable to the consumer will engage, while self-reverential, product-centric selling will only alienate the audience. The lynchpin to successful engagement begins with putting the consumers’ lifestyle interests and needs at the center of outreach strategies. The more we can do to help pet parents and enable their pet-centric lifestyle, the more likely they are to reciprocate. Additionally, behavioral studies have shown that when generous acts, unexpected gifts and unique offers are made, it triggers a natural, almost immediate reaction to return the favor. Truth is, we are drawn to brands and people who are similar to us – who share our values, interests and beliefs. This understanding fosters deeper connection and affinity. Thus, it is mission critical to study the lifestyle needs, wants, desires and concerns of core customers. Social media community-building is essential to create a forum for (and of) like-minded pet owners to share their stories and co-create content. People connect with people, not companies. Video is a great tool for this purpose. Bring to life “the real people” stories of founders, pet nutrition experts, ingredient suppliers, cause partners and other humans involved in what you do. Do your leaders have a presence on your website? Do your managers across the organization have a voice and the opportunity to publish in content marketing programs? Have you told the stories of your ingredient suppliers – all the way back to the farm? It may sound counterintuitive, but the path to marketing success is paved not by making your products the hero of your stories, but rather the consumer you wish to reach. It is how we help enable their interests and wishes that we gain their trust and involvement. Providing useful and helpful content is the secret to engagement – and to sharing the content you create. Pet parents are sponges, looking for information on behavior, health, recreation and dietary needs along the continuum of their pets’ journey from puppy to senior. Genuinely useful material and guidance, done in an entertaining way gets shared. The tendency to focus on ingredient superiority or formulation distinctions is epidemic in pet care. As a result, it is less differentiating because the specsmanship approach can become confusing to pet parents. Experts with varying opinions argue the finer points of dietary percentages, nutritional contribution from various ingredients, while claims related to protein sourcing start to sound similar brand to brand. The old saying ‘the brand that gets closest to the customer wins’ couldn’t be more true. 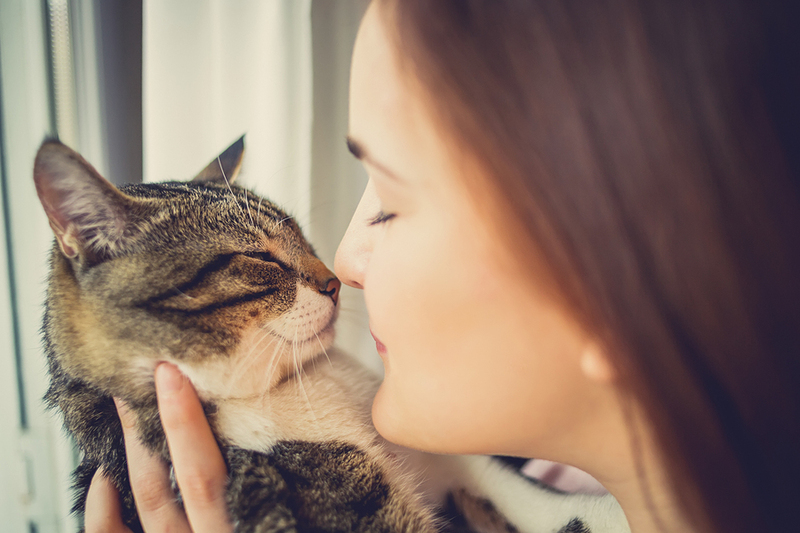 The emotional bonds and connections between pets and their parents offer better and more powerful territory for engagement. Consumers don’t want to be sold. They want to feel good about the decision they made based on selecting a brand that has a better grasp of their concerns, needs and passions. Pet care is part of a wellness-oriented lifestyle. It’s mutually beneficial on so many levels. This is great territory for creative exploration. 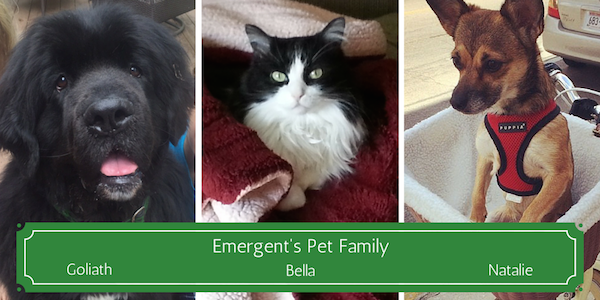 At Emergent, we love pets and have a passion for the pet care category. It’s an area of special expertise for us built partially on our love affair with our four-legged family members, and on our excitement about the dynamics and challenges of this exciting, unique product category. In 2014, we began work on a new marketing platform we call Validation Marketing™. And in 2015 we honed the platform specifically for pet food brands. It’s based on variety of consumer behavior studies that chart the migration from selling features and benefits to brand relationships built on lifestyle relevance and activated through emotional triggers.